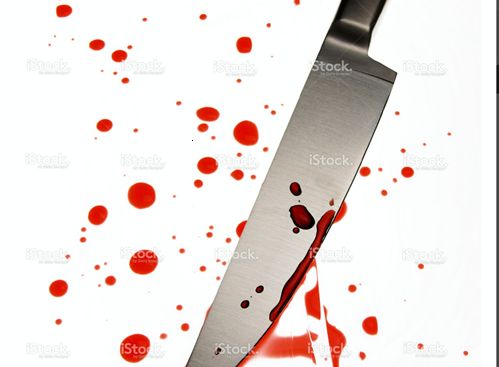 Huruma lady stubs his lover to death. The reason will shock you. We are currently leaving in a man eat man society where relationship arguments are leading to the unexpectable. On Tuesday Huruma residents were left shocked after a lady stabbed her lover to death after a quarrel on which station to watch arose. Nairobi County Police Commander Japhet Koome confirmed the incident by saying the perpetrator by the name Calorine stabbed her boyfriend in the lower abdomen and thigh. The two were quarrelling on Tuesday night as the lady wanted to watch a soap opera while his boyfriend objected and claimed he wanted to watch foot ball. After a lengthy argument the lady stabbed her boyfriend with a kitchen knife and quickly fled from the scene. The neighbors heard the man’s screams and came to his rescue and found him in a pool of blood. He was rushed to Huruma Nursing Home but efforts to save his life bore no fruits as he succumbed to his injuries. The police have arrested Caroline and will be arraigned in court to face murder charges.